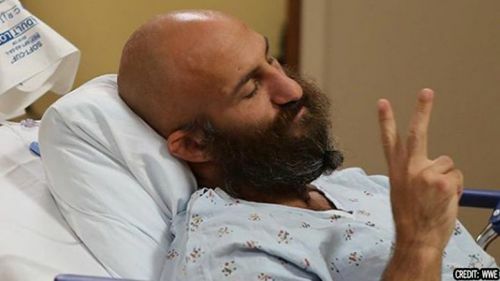 Tommaso Ciampa is in high spirits after his surgery, but a return date has not been announced yet. NXT has truly emerged as WWE's most beloved brand. While ostensibly the developmental territory of the world's largest sports entertainment company, NXT has collected some of the finest professional wrestling talents in their totally stacked roster. Sitting at the top of the NXT heap is Tommaso Ciampa, the current--though probably not for much longer given his injury--NXT champion. Ever since he captured the NXT title, the sight of Ciampa carrying around "Goldie" has become synonymous with the yellow brand. However, in light of his neck fusion surgery, he will probably have to vacate his beloved title while he recovers. No return date has been announced as of yet, as it is too early to tell, but most patients who receive the same surgery are out of action for at least three months. This is three times as long as the mandatory thirty days that a champion must defend their title. It remains unclear what the WWE will do with the NXT championship, though having Ciampa vacate is almost a given. Will they hold a tournament for the title? A wild six-man ladder match as they did to crown the first ever North American champion? Whatever the means used to crown a new champion, here are ten men who might fit the bill as NXT's standard bearer. Bask in the glory of Keith Lee's uncanny agility. Wrestling style: Power wrestling with striking and high flying. Keith Lee made his debut way back in 2005 when he was announced as The Prince of all Saiyans with a power level of well over 9000. Anime references aside, if you were going to make a real-life Dragon Ball Z character he would probably look--and fight--a lot like Keith Lee. Much like Kevin Owens, Keith Lee's grace and agility belie his bulk. Lee can sail over the top rope with ease and has all the speed and stamina required to match up against any opponent. 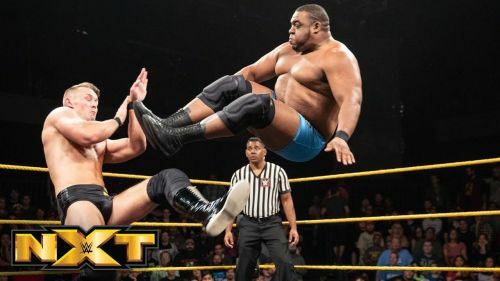 Why he might be the next NXT champion: Power, speed, agility, and over ten years of experience put Keith Lee at or near the top of the contenders' list. His mike skills and charisma are above average and improving almost daily.